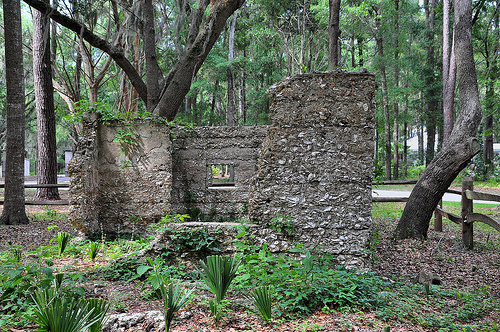 Located along the banks of Crum Creek, William Carnochan’s sugar mill was an important component of his nearby rum distillery. 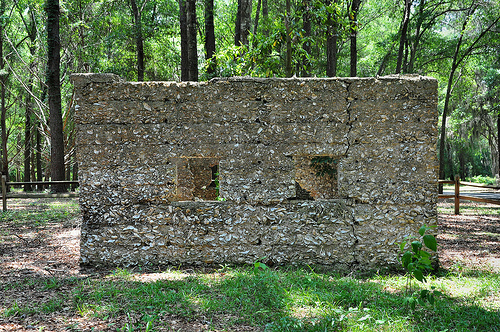 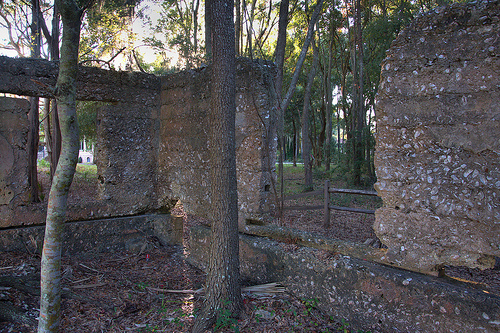 Like the distillery, the ruins of the sugar mill have survived for over 200 years and are evidence of some of Georgia’s first industrial efforts. 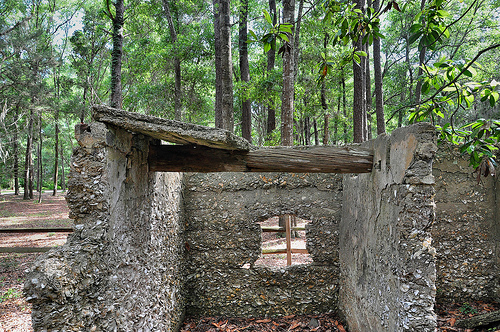 Residents of Tolomato Island have worked hard to expose and stabilize these ruins. 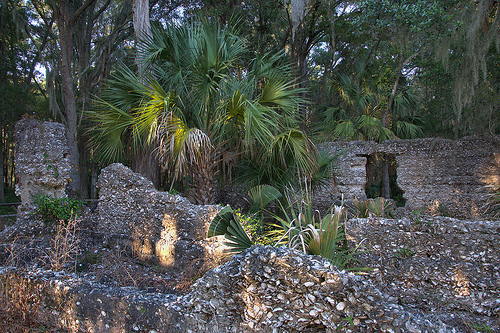 Though vegetation has grown inside the ruins, the durability of tabby as a building material is evident in this and the following images. 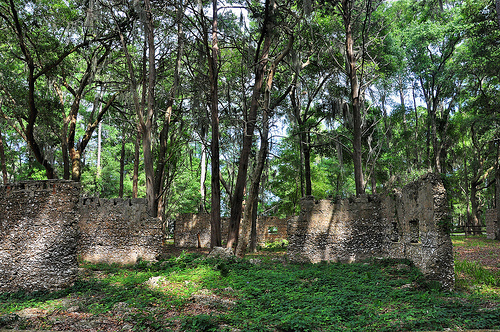 These structures were built when President John Adams was in office. 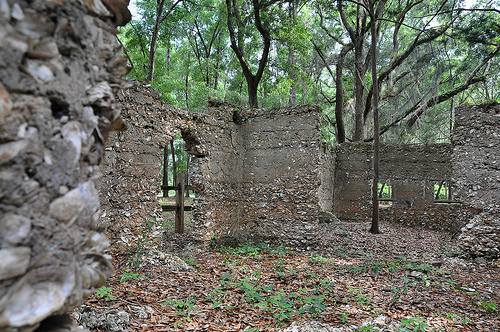 For images of Tolomato Island residents and volunteers at work cleaning up the ruins, visit here. 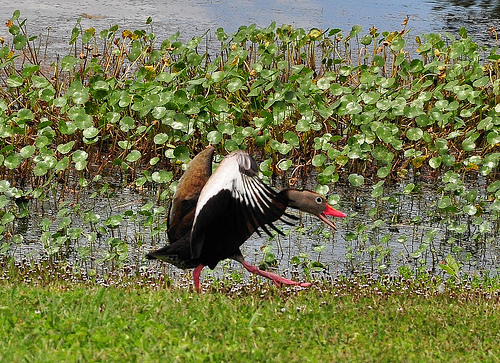 Sragglers from their native Central and South America, Black-bellied Whistling Ducks (Dendrocygna autumnalis) have been expanding their range in recent years. 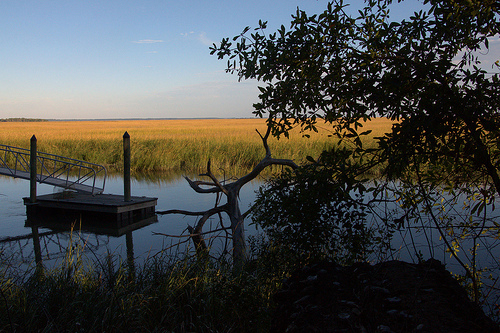 There is a small but healthy flock in the pond beside the Tolomato Island causeway. 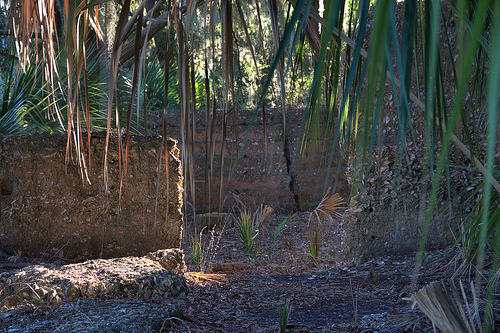 They’re fascinating to watch and are generally not very wary of human presence. 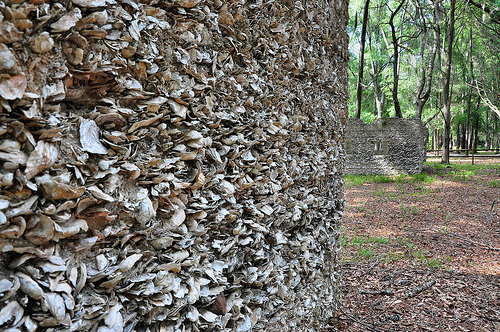 One of Coastal Georgia’s most important yet little-known landmarks is located just outside Darien off Georgia Highway 99, on Tolomato Island near the historic community of Carneghan. 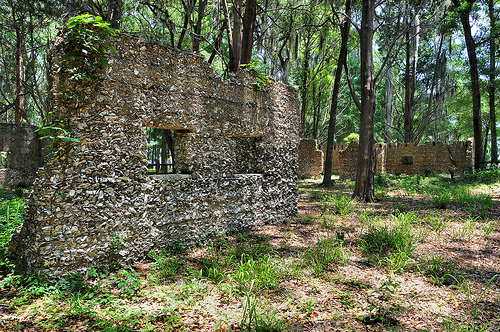 Though surrounded by a quiet community of modern homes and vacation homes, the ruins are well-preserved and considered an important resource by the people of Tolomato Island. 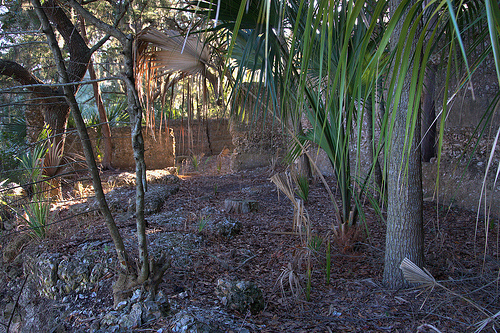 The area was originally known simply as “The Thicket”. 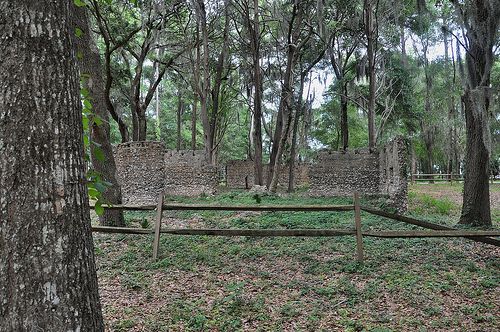 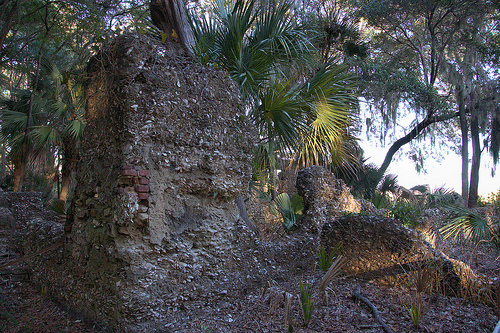 On the banks of Carnochan Creek, a short distance East of here, are the ruins of a famous Sugar Mill and Rum Distillery operated early in the 19th century. 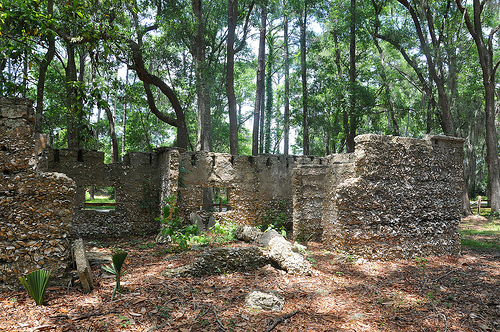 These buildings, constructed of tabby by William Carnochan on his huge sugar plantation at “The Thicket,” followed closely plans laid out by Thomas Spalding of Sapelo. 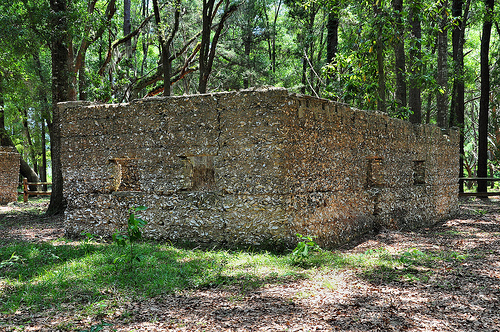 The sugar works and rum distillery were operated successfully on a commercial scale until 1824, when a hurricane tore off the roof and upper story of the mill and cane barn, and destroyed other buildings. 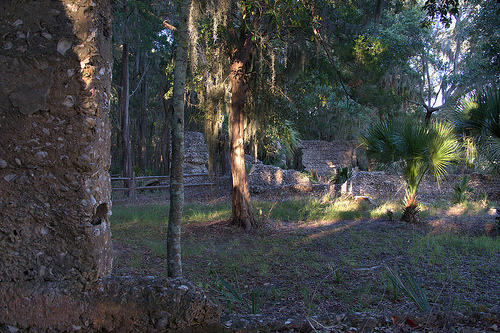 As evident in this photograph, the majority of the ruins are fairly well-preserved. 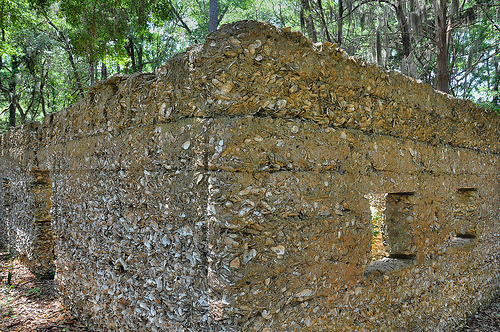 Note the thickness of the shells in this tabby construction, as opposed to the more “broken-up” look of later and modern tabby. 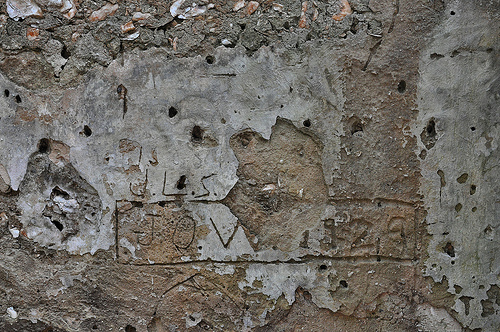 Repairs were apparently made in the 1920s, as graffiti on this stucco work would attest.